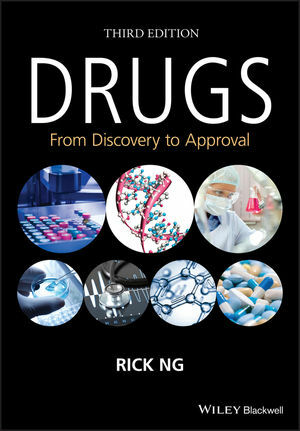 The third edition of this best-selling book continues to offer a user-friendly, step-by-step introduction to all the key processes involved in bringing a drug to the market, including the performance of pre-clinical studies, the conduct of human clinical trials, regulatory controls, and even the manufacturing processes for pharmaceutical products. Concise and easy to read, Drugs: From Discovery to Approval, Third Edition quickly introduces basic concepts, then moves on to discuss target selection and the drug discovery process for both small and large molecular drugs. The third edition incorporates the latest developments and updates in the pharmaceutical community, provides more comprehensive coverage of topics, and includes more materials and case studies suited to college and university use. Biotechnology is a dynamic field with changes across R&D, clinical trials, manufacturing and regulatory processes, and the third edition of the text provides timely updates for those in this rapidly growing field. Rick Ng, PhD, MBA, has worked for more than 25 years in senior management positions in the private sector pharmaceutical industry. He is currently providing consulting services to the pharmaceutical industry and training for graduates, postgraduates, and pharmaceutical professionals at the National University of Singapore and the University of New South Wales, Australia.